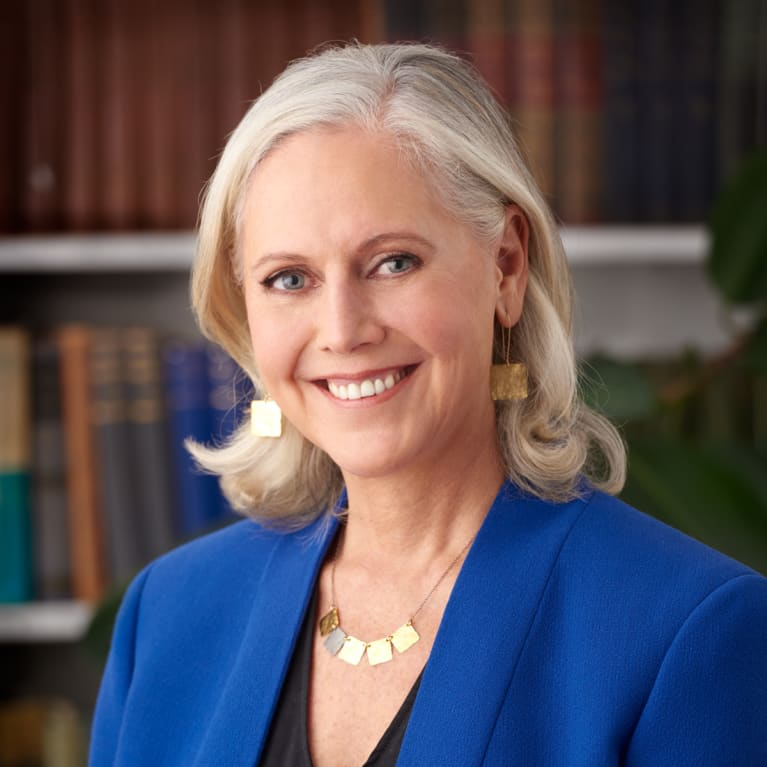 Serene Jones is the president of the historic Union Theological Seminary in the City of New York. The first woman to head the 180-year-old institution, Jones occupies the Johnston Family Chair for Religion and Democracy. She is the past president of the American Academy of Religion. Jones came to Union after seventeen years at Yale University, where she was the Titus Street Professor of Theology at the Divinity School, and chair of Women's, Gender and Sexuality Studies at Yale University. Jones is the author of several books including Trauma and Grace. She is a child of the Oklahoma plains, a daughter of a university president and a single mother, a sister, a cancer survivor, a theologian, a minister, a news commentator, a public intellectual, and a devoted teacher.